What is the LateralX® Trainer? 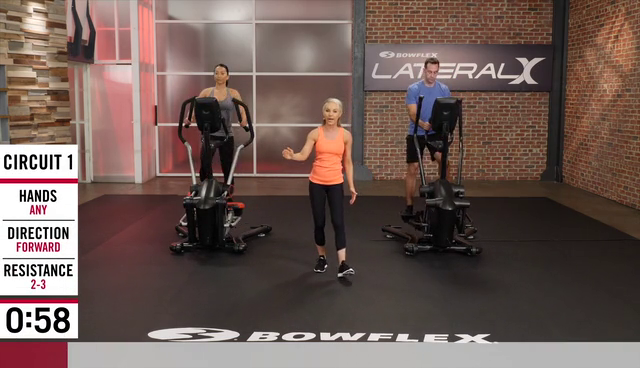 Improve the way you move with the NEW Bowflex® LateralX® trainer. It's the full-body, low-impact cardio machine that moves in THREE directions, empowering you to move just as you do in daily life. Glide from side to side as you push, pull, stand and squat, activating muscle and burning calories in every workout. Prepare for the movements that matter with the LateralX® trainer. ♢LateralX University Caloric Study (2018). Train effectively with a unique, low-impact motion that's smooth and easy. The Bowflex® LateralX® trainer delivers incredible results while providing much less impact on your body than running.‡ Tighten and tone from home – without the jarring impact. ‡LateralX University Impact Study (2018). No matter your starting point, the LateralX® trainer is designed for nearly all fitness levels. 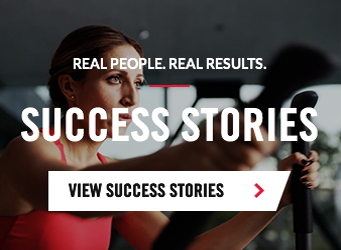 See more success stories that move us, and results that inspire. 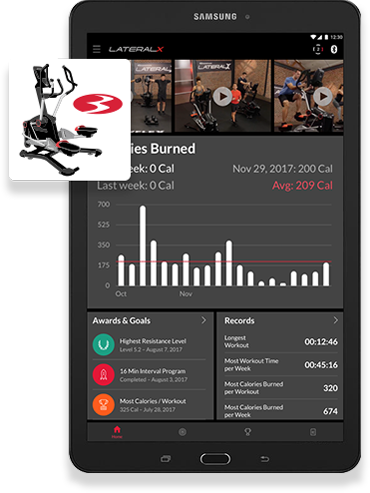 Designed for beginners and advanced athletes alike, the Bowflex™ LateralX™ App features 30 full-length workout videos — absolutely free. 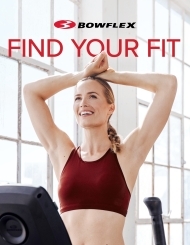 Our Bowflex fitness trainers will guide and motivate you toward success with high energy classes like, "LateralX Basics" and "LateralX Athletic Conditioning", as well as cross-functional training videos like yoga and optional SelectTech® dumbbell workouts. You'll have what you need to stay on track and experience incredible results. In addition to providing LateralX workout videos, the Bowflex™ LateralX™ App (iOS and Android) tracks your journey, monitors goals, and measures progress from week to week. Collect awards and keep track of personal bests! 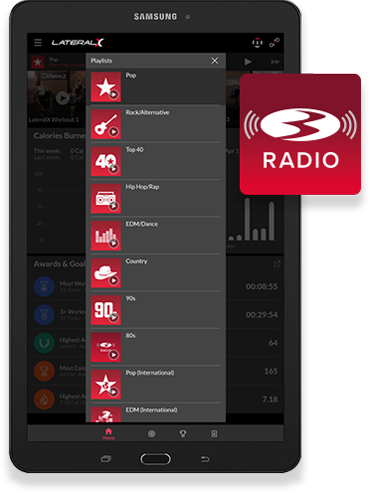 Every workout is fueled by Bowflex Radio, streaming today's biggest hits. Work out to Pop, Country, Hip-Hop, Rock, 80's, and many more playlists! Ready for something new? Move in a new direction with the Bowflex LateralX. Choose between the streamlined LX3, the upgraded LX5, or the fully loaded LX5 Performance Pack to find the best machine for you! You can pay for your LateralX over 12 months on purchases with your Desjardins Accord D Visa card! Request free info and discover which LateralX is right for you.